Meet Lulu, the newest little Lali! I love this sweet little lambie! 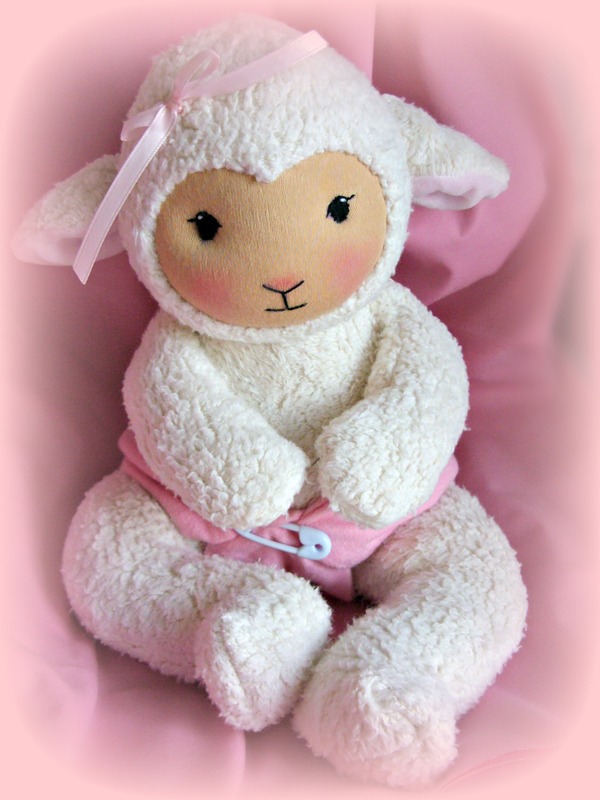 She is made from organic cotton Sherpa fabric, stuffed with 100% wool and weighted with doll weighting glass beads. She weighs approx 1 lb. I don’t have a small scale here to accurately weigh her. I am also working on a pattern for this little one. Lulu is available now on auction. Look in the “Doll Shop” link above.